New Hex Beam from MFJ delivers solid gain and directivity on 20,17,15,12,10, and 6 Meters in a low-profile package that will have your pocketbook and your neighbors smiling! When it comes to lightweight directional HF antennas, the MFJ-1846 Hex Beam tops the list for its low-profile footprint, solid construction, and DX-snagging design -- all for a truly affordable price. The MFJ-1846 uses an updated G3TXQ element configuration for improved bandwidth, superior front-to-back performance, and low SWR. However, that`s just the beginning! MFJ takes the Hex Beam`s unique balanced-tension framework to a new level with rugged mounting hardware, exceptionally durable spreaders, and sliding antenna-wire guides -- all designed to ensure years of reliable service in tough 21st-century weather conditions. Light weight -- mounts on a tripod, gable mount, or even chimney straps. Proven directivity and gain from a time-tested design. No touchy setup, 100% plug-n-play. Rotates with an inexpensive rotor -- only 3.5 square-feet of wind loading. Handles maximum legal power, all modes, all six bands. Delivers full-band coverage without a tuner. Great for contesting, QSY instantly between all six bands. Just one coax feed, a real cost saver! Sky-gray spreaders disappear against most backdrops. Small footprint -- 11-foot turning radius fits cramped spaces. Symmetrical footprint -- stays balanced when coated with ice and snow. 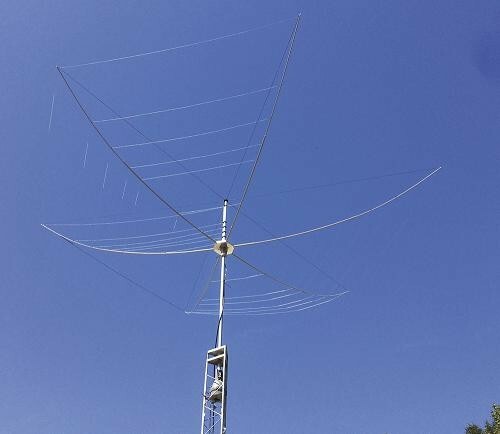 Great Value: Gain and directivity make all the difference when hunting DX or maintaining schedules, and the Hex Beam has a long history of delivering satisfying results where antenna options are limited. However, it`s no secret that these antennas are expensive for small companies to manufacture, a reality often reflected in the price! That`s where MFJ`s massive purchasing power and extensive manufacturing capability kick in to your advantage. 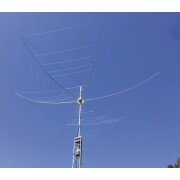 It`s a matter of simple arithmetic, you`ll get more antenna for less money when you order the MFJ-1846!